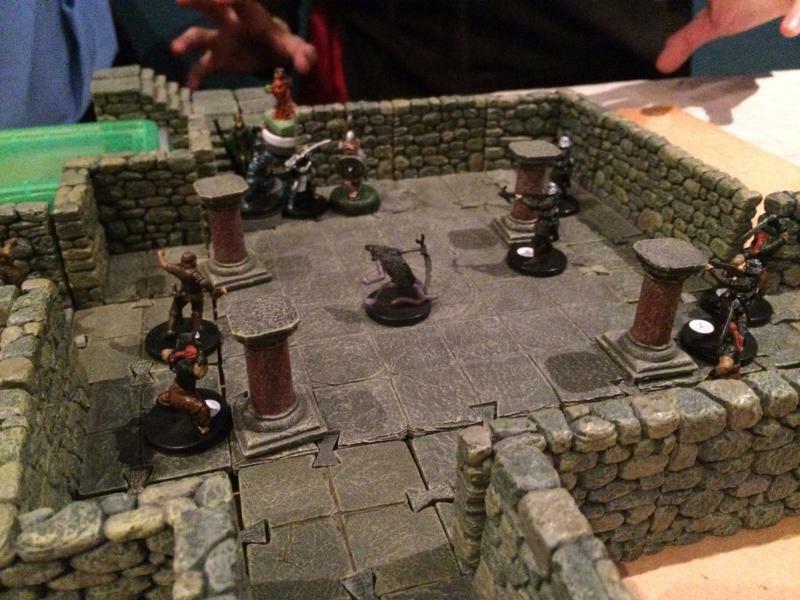 At the end of last session, we left our heroes about to confront a large band of Tower Girls deep in the Crow piling. Although they were outnumbered and still suffering the affects of their previous endeavours they nevertheless advanced. The Tower Girl’s leader, a strange rat/human hybrid, demanded they leave, but Kara hurled her most powerful fear magic at the beast. It resisted the affects (and two subsequent castings) and the fight was on! The party advanced cautiously, and almost immediately came under sustained missile fire. This was mostly ineffective and, embolden, Narfu, Aq and Tristham advanced further into the room. Nylond stayed behind to defend Kara. Narfu, Aq and Tristram fought bravely, both of the paladins focusing their attacks on the rat-like humanoid. Both struck and injured the beast, but sadly they were quickly surrounded by the other Tower Girls. Tristham was the first to fall, pierced simultaneously by two blades. Moments later, Aq—on the verge of slaying his foe—also fell. Although Narfu fought on, things looked grim. Nylond used his clerical magic to stabilise his fallen friends, but Kara was completely out of useful spells. 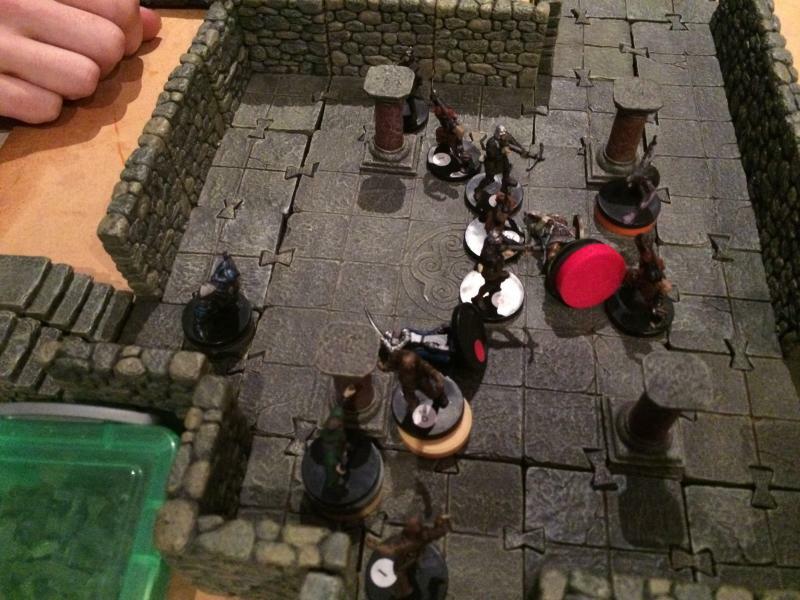 Then, the rat-creature demanded the adventurers stop fighting. When they did so, it demanded a ransom for the safe return of the two fallen paladins. Eventually, the party agreed with Nylond having to hand over his prized ring of feather falling to secure his companions’ release. Thus defeated, the party retreated—Narfu and Nylond carrying their unconcious compatriots. When a safe distance from the site of their defeat, they used what healing magic remained in the party to revive the fallen and then retreated to their boat. Stealing the two remaining rowboats belonging to the Tower Girls, the party rowed back to Marner. Once safely back in Marner, they split up for the night; Narfu returned to his home while Nylond visited the nearby temple of Moradin and Kara, Aq and Tristham spent the night at the temple of Heironeous. The next morning both Nylond and Aq awoke feeling unwell—it transpired both had contracted filth fever during their adventures. The clergy of Heironeous were also very concerned that Aq had contracted lycanthropy. They confined the paladin to a well-appointed cell in the temple’s bowels, and watched him closely. The next day, Nylond became even more ill. The doughty dwarf struggle to fight off the affects of filth fever and his skin broke out in red splotches; it seemed he had also contracted red ache—probably from Fenster the Blight! Over the next few days, while Aq slowly recovered under the administration of Allaron—a skilled healer at the temple, Nylond became progressively weaker and weaker. Eventually, the party pooled their meagre resources and purchased a scroll of remove disease which eventually halted Nylond’s decline. During this time, Aq was declared lycanthrope free after spending the night of the full moon restrained with silver chains, much to the relief of his sister. For the next week, the party rested—Aq and Kara reflecting on their experiences—and plotted their revenge against the Tower Girls. Much thought was given to their upcoming tactics as the sheer number of enemies along with the difficulty of reaching their lair created a sense of foreboding among the heroes. The party tried to recruit allies from among the Tower Girl’s enemies, but none seemed keen to lend any actual assistance to the heroes. However, Aq’s honeyed words did gain the party some useful intelligence about the Tower Girl’s leader which might prove vital later on. You mentioned in your Article “Zero ranks in Knowledge” that your PCs in the Shattered Star campaign lacked several knowledge skills, however in your article you mentioned that access to a substantial library could eliminate the DC 10 cap on zero knowledge checks. In your first Shattered Star journal entry you shared that their Patron, Shel Heidmarch, had an extensive library. 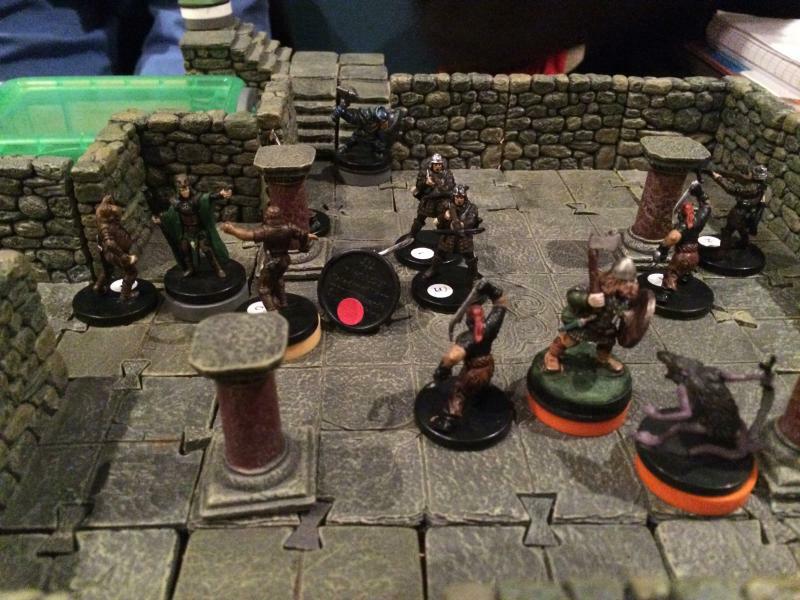 In fact the party had their first encounter there (damaging some of the books). Could not this be such a library that the PCs could use to research information? You could even cause them some minor research problems due to some of the damage they did to that library in their first encounter. Just a thought that might help. 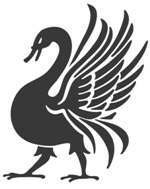 Love all the Raging Swan stuff, I mostly buy it through Amazon (US) & find it wonderfully useful & creative. Keep up the good work (& the fun adventure journal entries). You make an excellent point about the library. Let’s hope one of my players read this!